It is officially Spring! Can you guys believe who fast this year has been going by? I swear it was just Christmas. With (hopefully) some warm weather on the horizon, I'm getting really excited to start breaking out some sundresses, sandals, and some skin! Using my my major spring fever, I put together the spring trends I'm loving this season and know you will too! How many of you guys Googled 'sparkly Instagram filter' when you first saw the influx of glitter on your feed? 'Cause I know I did! 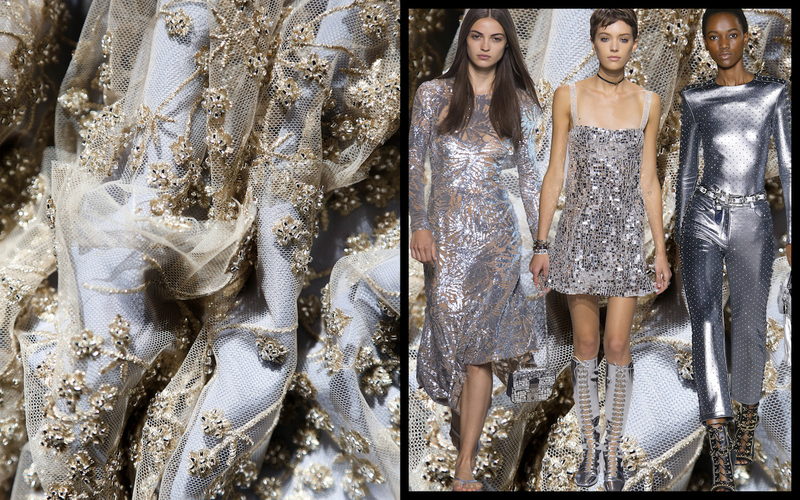 The 'Kira Kira' app fits perfectly with the sparkle factor all over the runways and all over the streets! Dress it down for the day or rock it for a killer night out, you're going to see sparkle everywhere! 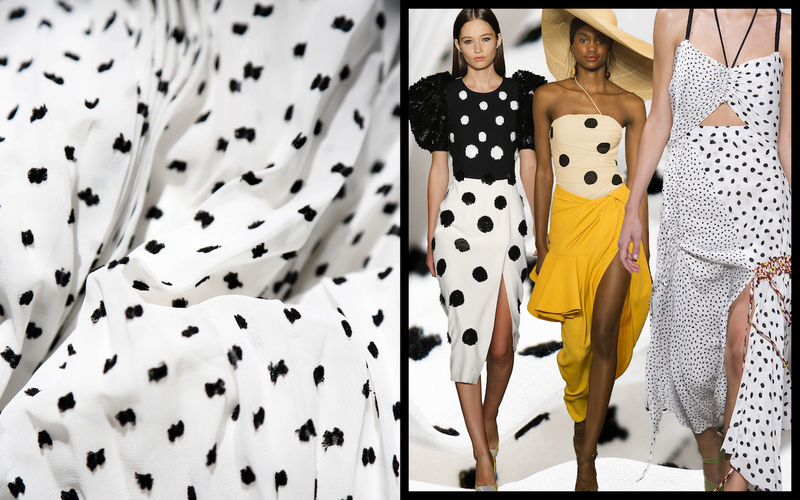 Black and white polka dots have been EVERYWHERE! 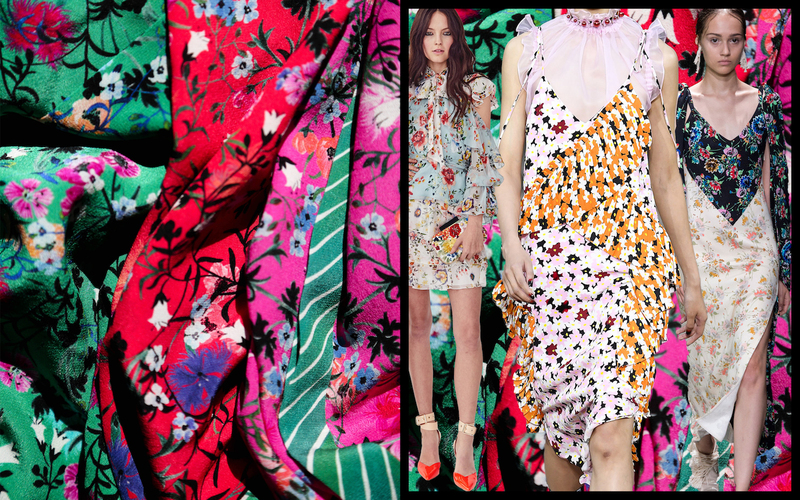 It's such a playful print and i'm loving it so much. From small-scale to large-scale, polka dots aren't just for kids anymore! 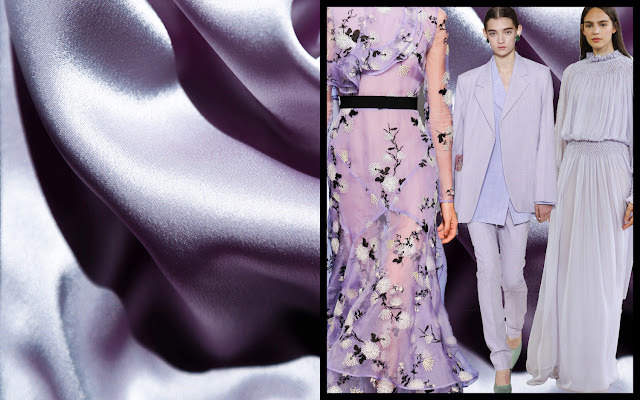 The 2018 pantone color of the year is UltraViolet, so it was only fitting that this gorgeous shade of purple was all over the runways. Wear it as a pop of color or as a full monochrome outfit- you really can't go wrong with lavender this year! One of my favorite ways to style outfits is to mix prints, it's a great way to add visual interest and have a little fun! So I was so excited to see many looks weak down the runway mixing florals and other prints. Denim will always be a trend that never goes aways, but now there are so many fun trends that go along with the classic one. My favorite would have to be the frayed denim trend that is all over the place. 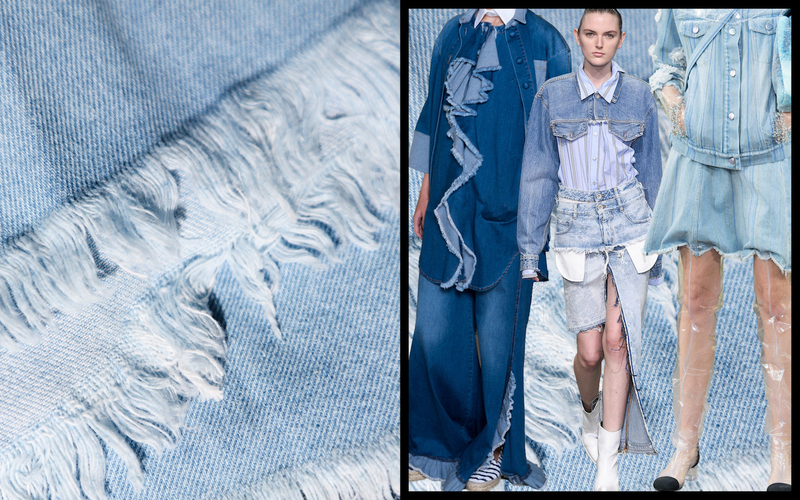 Distressed hemlines and head to toe blue-jean is definitely the way to go this Spring! 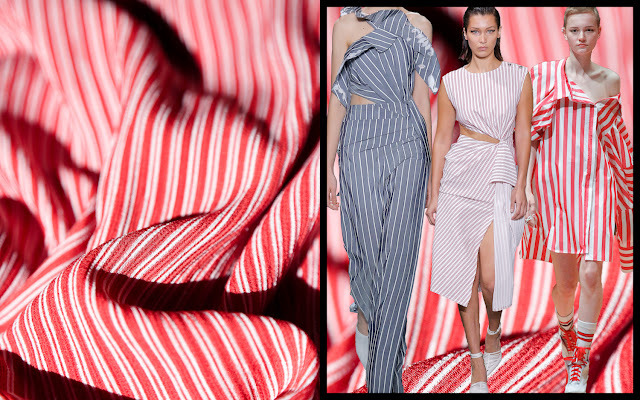 To me, vertical staples will always and forever be a closet staple, so I loved seeing so many different variations of them on the runways this season. It is a staple trend that can be found in about any of the stores that you consistently shop at. 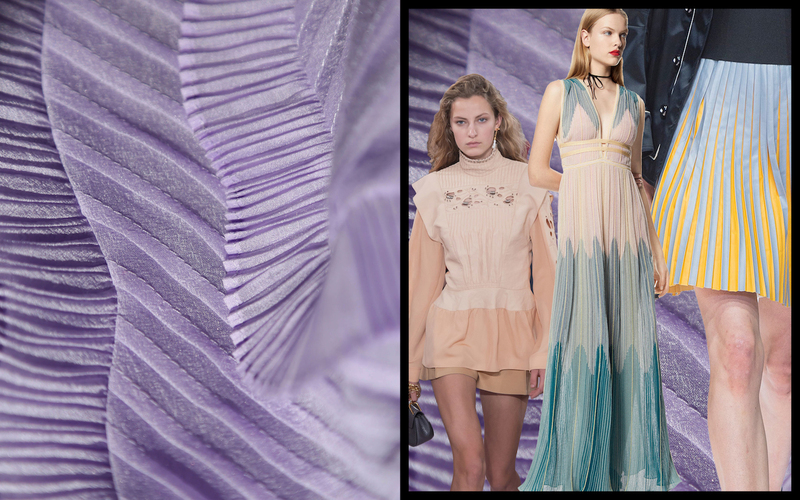 Mici-Pleats are a great way to add texture. They add so much movement and femininity to pieces! There's nothing like a micro-pleated skirt to bring out the little girl in me that just wants to twirl! 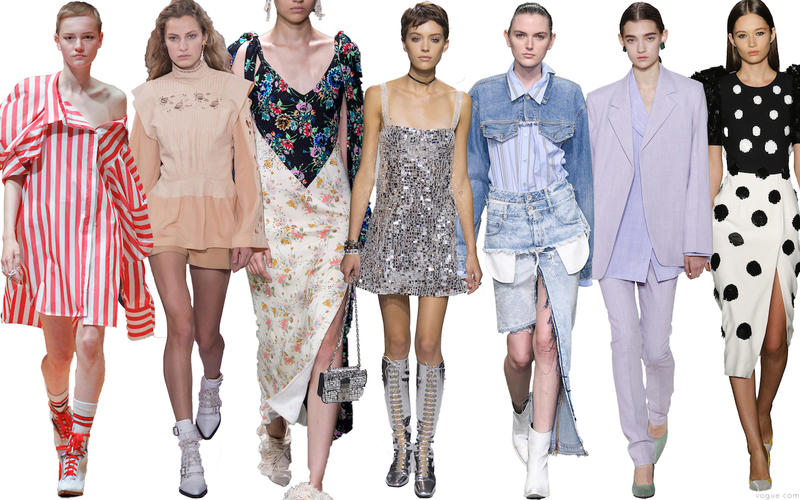 Which Spring trend is your favorite? Let me know in the comments below and have a great beginning of Spring!